HealthPathways Murrumbidgee is a web-based portal with condition-specific ‘pathways'. Each pathway supports clinicians with assessment, management and local referral information. The HealthPathways site is designed to be used at point of care primarily by general practitioners but is also available to hospital specialists, nurses and other health professionals across Murrumbidgee. The secure portal is not for use by patients, however there will be appropriate local resources for GPs to provide to patients. Improves collaboration between GPs and specialists. Who can use HealthPathways Murrumbidgee? 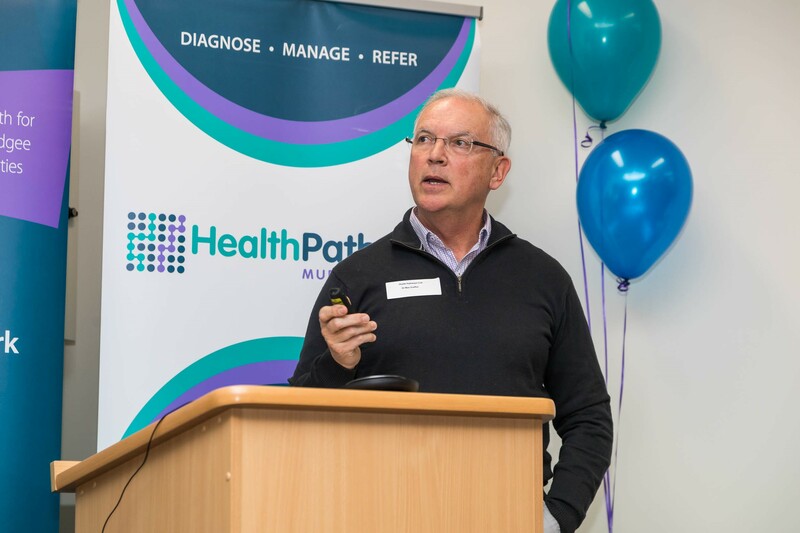 HealthPathways is designed to be used at the point of care by GPs, however will also be available to health care professionals across Murrumbidgee for use within their scope of practice. HealthPathways is not designed to be used by the general community. However, depending on the specific pathway, relevant patient resources will be available on the portal for health professionals to provide to patients to support their care. Access assessment and management options and information on referrals to local specialists and services. If you provide a service in the Murrumbidgee area and your service is not currently listed in the HealthPathways Murrumbidgee site please complete the Health Service Questionnaire. 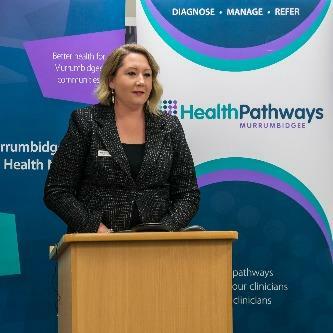 Murrumbidgee HealthPathways went live on the 28th June. This occasion was celebrated with a small launch held in Wagga Wagga which was attended by local GPs, local specialists and representatives from Murrumbidgee Local Health District and Murrumbidgee PHN. At the time of the launch there were 100 pages live (32 Clinical Pathways, 53 Request Pages, 8 Resource Pages, 6 Referral Pages, 1 Other Page) with an additional 118 pages under development.